Make Lover, Not War! 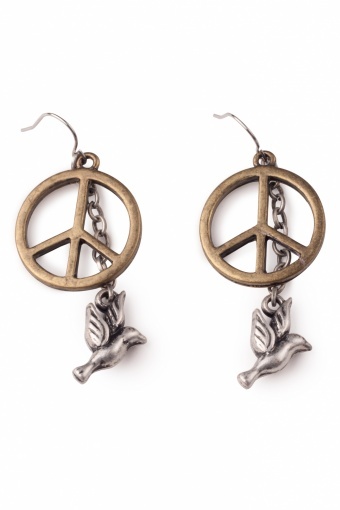 Peace Dove earrings. 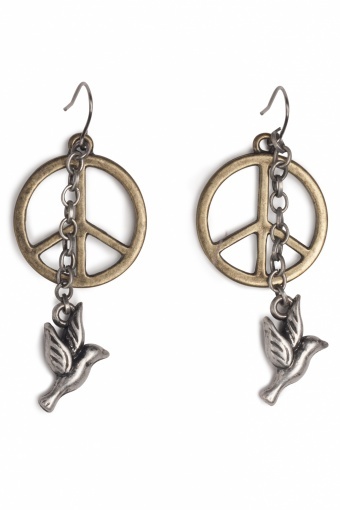 70s inspired earpendants; peace-sign and peace dove. The mix of bronze and silvertones give a great effect!